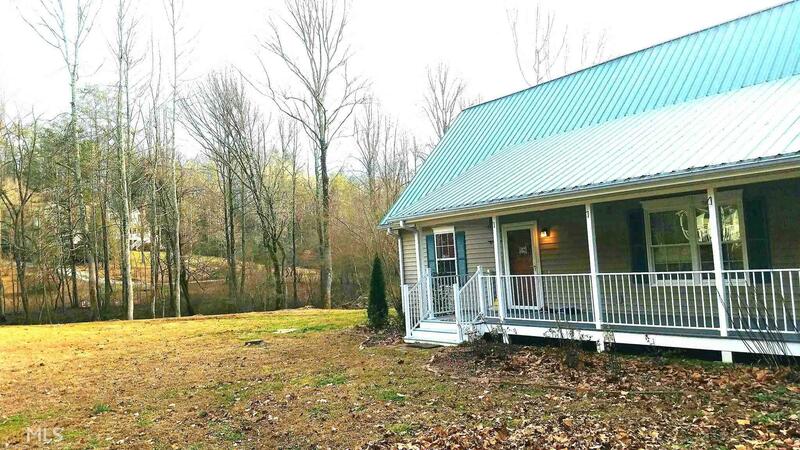 Peace and tranquility on 1.72 acres border by 2 separate creeks, yet only minutes to downtown Dahlonega. Located at the very end of the street, come sit on the rocking chair front porch or covered back deck and enjoy your coffee every morning while watching the pair of red shouldered hawks flying overhead. Master bedroom has a detached bonus room, while the downstairs has a wood burning fireplace that is sure to keep you cozy. Hard to find 4 bedrooms, 2 bathrooms on this sized level lot. There is a fire-pit out back and room for more! Well maintained. Welcome home. Very nice refrigerator and amazing washer and dryer are negotiable with the right offer. Directions: From Public Square, Continue Onto E Main St. Left Onto U.s. 19 Bus N/N Grove St. Turn Left Onto Oak Grove Rd. Slight Right Toward Martins Grove Rd Straight To Stay On Martins Grove Rd. Continue Onto Alex Dr, Stay Right At All Bends; Last Home On Right.